Adults do not believe in fairytales... do you? 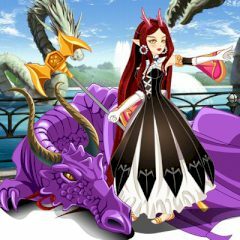 Choose a beautiful style for an elf girl and her friend – the dragon! Plunge into the wonderful world where miracles are a usual thing. You may also set the result as an avatar. Have fun!